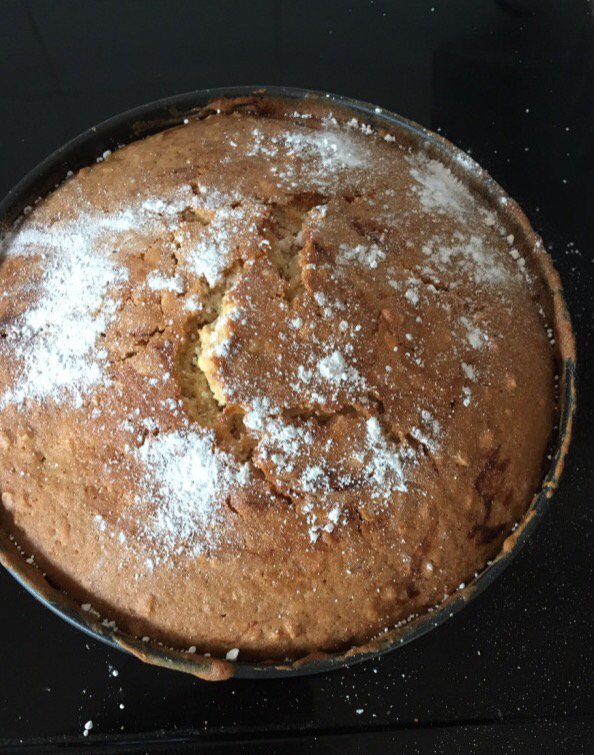 Just recently I have been doing far more baking and cooking than usual and a lot of that is down to new products I have been trying out with my children. These products don’t just extend to the food on our plates but also what the food is cooked in. There are so many bakeware/oven tray products on the market and they all seem to have one thing in common. That one thing is that the majority of them claim to be non-stick. Non stick meaning (to most people) that cooked food will easily come away from the tray with no bits stuck or left behind and will also easily come clean isinh soap and water. Sadly this is very rarely the case. The majority of cheap bakeware products can even ruin food and especially so cakes. A cake that is stuck to its oven tin is more or less ruined and will just fall apart. 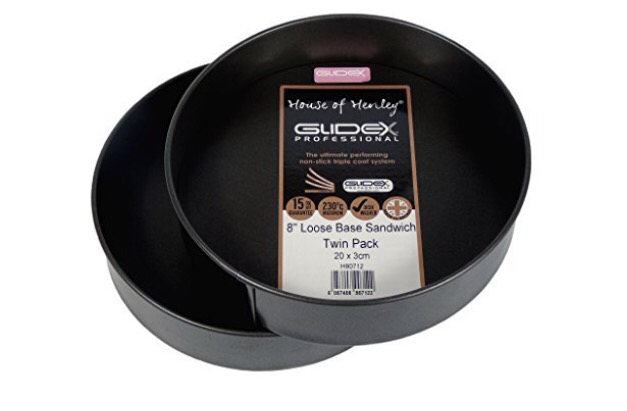 GlideX bakeware is very different to other bakeware products. 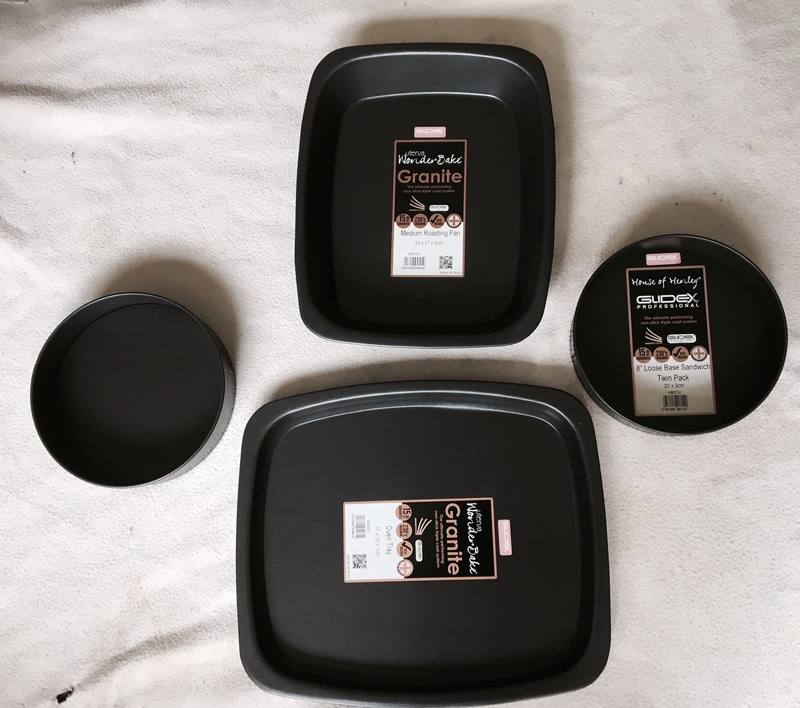 Most branded bakeware has its non-stick coating sprayed on. This sprayed-on coating easily flakes off and is prone to scratching. This flaking and scratching causes the non-stick layer to break down. This is why a lot of non-stick bakeware quickly becomes sticky or even – sticky from day one. GlideX uses a roller method which rolls the non-stick coatings over the metal to ensure uniform thickness across the entire product so you don’t get any breaking or weak spots in the coating. Time to put this theory to the test!!! Utensa are one of the UK suppliers of the GlideX products. They sell their bakeware via Amazon which includes roasting/baking oven trays and various cake tins. First up was the medium roasting tin which is on sale on Amazon for £8.99. My first thoughts were that the inside of the tin did feel much smoother and a little different to the usual cheap tins I have bought. 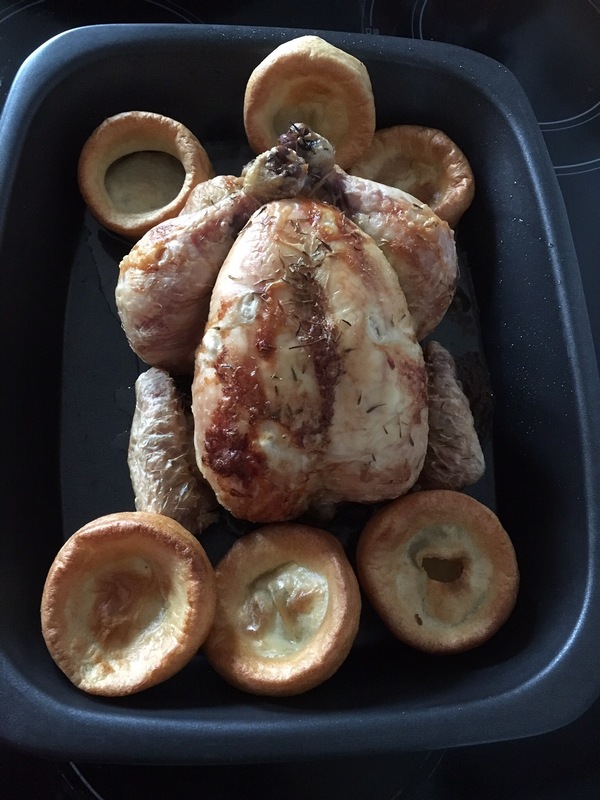 I do love my roast dinners so this was a perfect opportunity to make one. In went the chicken, followed by the yorkshires. This is a medium size tin, the chicken was on the large side but there was room for a few roast potatoes too, I just forgot to buy them. The chicken was cooked for the same time and exactly how it is in any other dish or tray I use. Usually the legs, wings or underside will stick slightly meaning some of the chicken pulls away and remains stuck with the grease and bits. This time that did not happen. The chicken lifted clean out. The grease was pretty minimal and nothing remained in the tin once emptied of food. After sink washing it came up looking brand new, no stains, marks or leftover bits stuck on. The two cake tins I tried also gave the same good surprising results. These come as a twin pack to enable bakers to create a double layered cake. As well as being made with the new GlideX coating, they also feature a loose bottom base. This means the bottom of the tin can be removed making cake removal a little easier. So cake ready to go in! 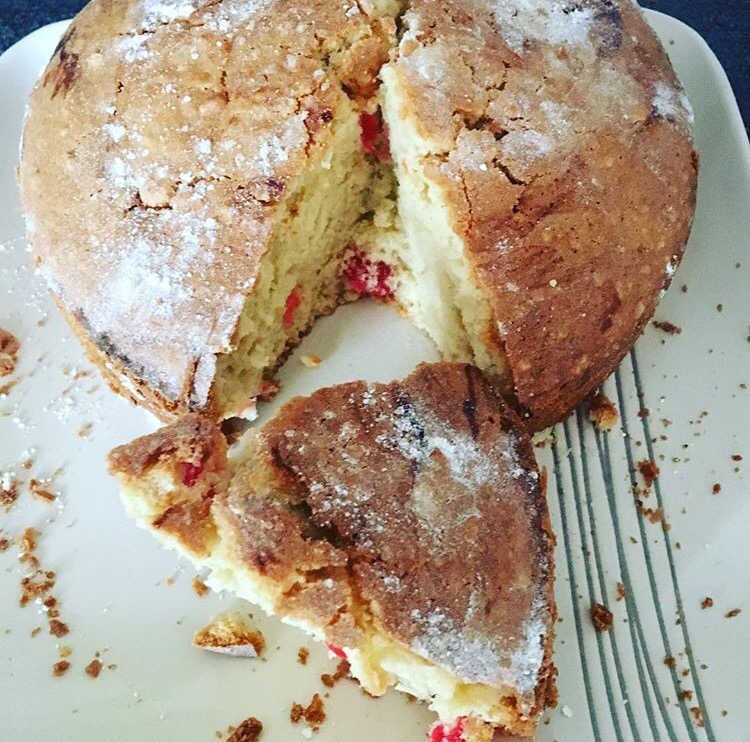 And one cake perfectly removed! I did not use any sort of greasproof/baking paper or spray whilst baking this. 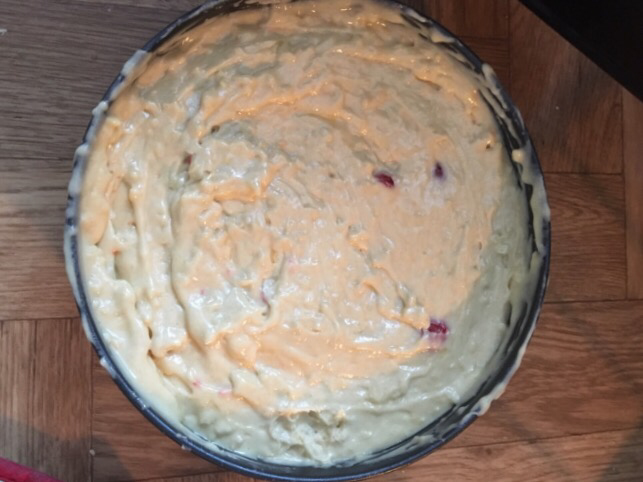 It was easy to release the cake tin bottom once cooled a little and nothing stuck to the tin at all. This twin pack of cake tins costs just £14.99. They also sell the tins as fixed base too. So yes therefore these product do what they say on their tins! No sticking and wash up totally clean and mess free. It’s time to ditch my old horrible bakeware which no doubt has unremoveable burnt on bits and replace it all with the good non stick GlideX. Trust me, if this was not non stick then I would not be posting about it.